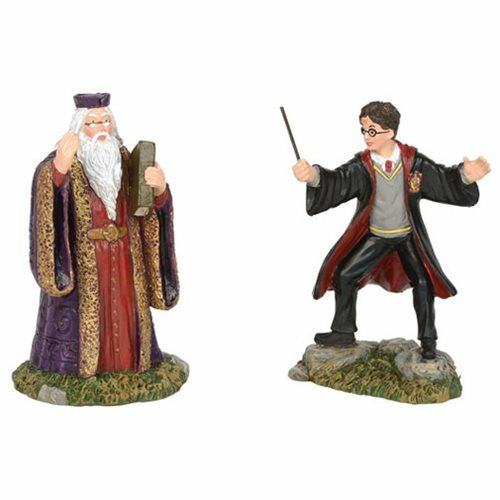 The Harry Potter Village Harry and Dumbledore Mini-Figure Set is a must have for fans of J. K. Rowling's Wizarding World. 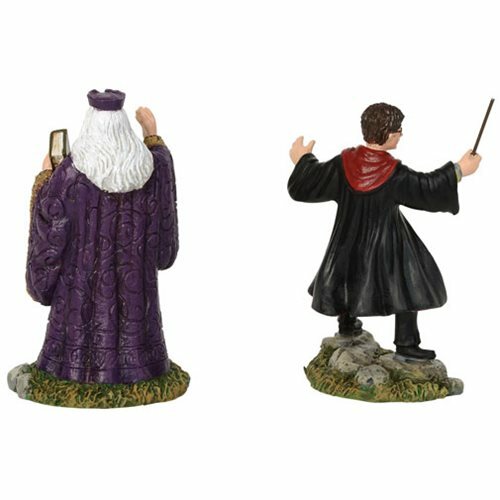 Dressed in his Gryffindor robe, Harry demonstrates the power of his wand for Professor Dumbledore, the headmaster at Hogwarts. Measures about 3 1/10-inches tall.